The School possesses an Endowment Fund with restricted and unrestricted funds which allow the School to offer a varied program. We are always happy to receive endowment gifts. 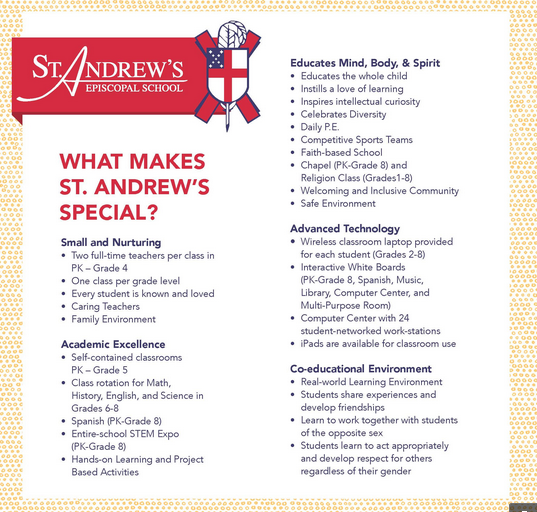 For additional information on how you can make an endowed gift, please contact Dominique Chauvin, Director of Development at (504) 866-6552 or dchauvin@standrewsepiscopalschool.org.